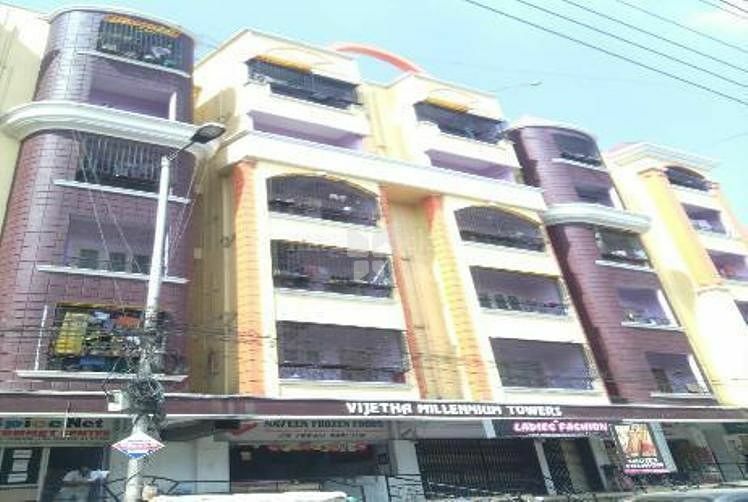 How Far is Vijetha Millennium Towers? Sumadhura Vijetha Millennium Towers is one of the popular residential projects that is located in Saleem Nagar, Hyderabad. Developed by Sumadhura Infracon, this project offers 2 BHK and 3 BHK apartments along with commercial shops with basic amenities that are required for a comfortable stay of residents. It is located in proximity to the market and many educational institutions. Sumadhura Infracon is very renowned real estate company in Bangalore & Hyderabad and has offered magnificent developments to the clients. The group has built a strong name in the industry by timely delivery and quality into the developments. It thrives to offer the clients with unmatched quality and value in its creations. The group has expertise in the acquisition of land, the appointment of architects, designers, construction and sales to after sales service which has also helped the group to be counted amongst the Bangalore & Hyderabad’ forerunners in real estate development. It has its famous developments such as Sumadhura Nandanam in Whitefield which offers 2BHK, 2.5BHK and 3BHK apartments for sale also Sumadhura Pranavam in Whitefield which offers 2BHK, 2.5BHK & 3BHK as well as Sumadhura Essenza in Hosa Road which offers ready to occupy 3BHK apartments for sale in Hosa Road. The group functions in the customer-centric business model and has proven track record of innovation and quality, and has been instrumental in the group’s rapid growth. It also performs its functions in a transparent way of working, which is why it has helped them in achieving the highest levels of customer satisfaction. To develop quality properties based on realistic values for its owners, investment affiliates, as well as its joint venture partners. To continuously expand the role of a leading developer in the construction industry by building lasting relationships with our clientele and all concerned on the foundations of performance, trust, and confidence.